If you follow me on Instagram, you will no doubt be aware that a few weeks ago I went on holiday to Paris. Although my Mam and brother would without a doubt say all I did was moan that my feet hurt (they DID), I had an amazing time and would totally recommend it, especially if you’re into sightseeing or art. In this post I’m just going to go through a few of the places we visited and tell you the good, the bad and everything I wish I’d known beforehand! The Louvre. This was the first place we went to in Paris, and we definitely started on a high. If you’re going to visit the Louvre, wear some comfy shoes because there is a lot of walking involved. The art gallery is situated in what was the French Royal Palace before Versailles was built, and is absolutely huge. We spent about 6 hours exploring and I don’t doubt there was still loads that we missed. Be sure to get a map before you set off, we found ourselves getting hopelessly lost even with one! The Louvre consists of 5 floors, the bottom of which contains the foundations of the original building and information on the history of the place, which is really interesting. The other floors contain art from across the eras, from Egyptian mummies, to sculptures and huge paintings from the nearer past. Of course, the Louvre is most famous for being home to the Mona Lisa, who is definitely more smiley in person and totally worth going to see. Cathedrals and churches. Sacré-Cœur was absolutely incredible, although watch out for pick pocketers as it (along with The Louvre) is a hotspot. The building itself is beautiful and we also paid to go up to the dome. I was actually super proud of myself for that as I’m hugely scared of heights, but it was pretty doable! 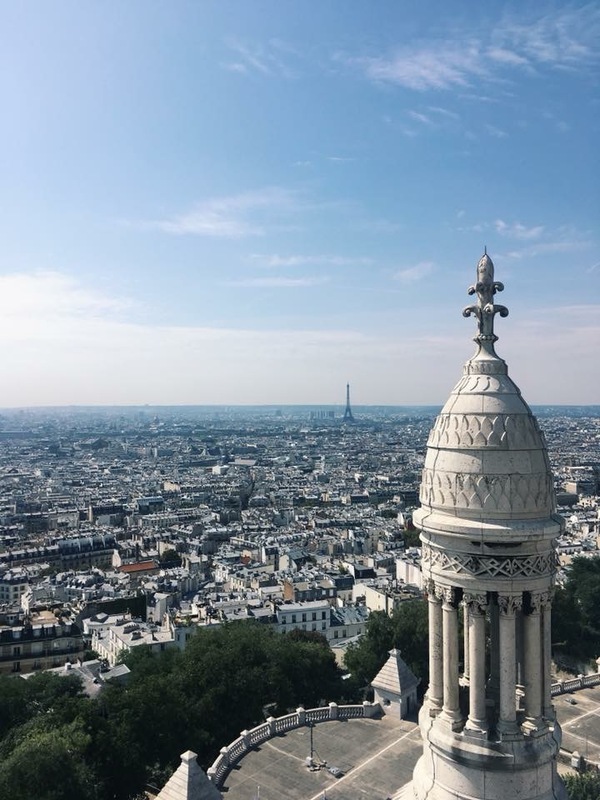 Although the hundreds of steps up and down were a bit of a drag, it was definitely worth it for the view of Paris. The other notable religious place we visited was the Notre Dame cathedral, which had more of a gothic feel about it, but was equally spectacular to look at (inside and outside). 4. The Eiffel Tower light show. This takes place on the hour, every hour after sunset for 5 minutes, until 1am. I’ve got to admit, when I first saw the Eiffel Tower I wasn’t blown away. Yes, it was impressive, but I didn’t think it was pretty and kind of wondered why it was so heavily associated with beauty and romance. However, the light show answered this question – it was absolutely beautiful. And no, I didn’t go up the Eiffel Tower, because despite managing the dome at Sacré-Cœur, that would definitely have been a step too far. I was happy to admire from a distance. 3. The catacombs of Paris. This was my absolute favourite part of our trip to Paris, however I would recommend buying queue jump tickets in advance. They are more expensive but if you have the budget are definitely worth it – we waited 2 and a half hours in the queue. Only 200 people are allowed down at once, so getting in is a slow process but 100% worth it. I love a bit of dark tourism, and the catacombs did not disappoint. The thing that struck me most is how insignificant it makes you feel; you’re walking past thousands of skulls and bones, piled high and as far back as you can see, and it’s crazy to think how each of these belonged to a real person, with their own unique life, family and impact on the world. 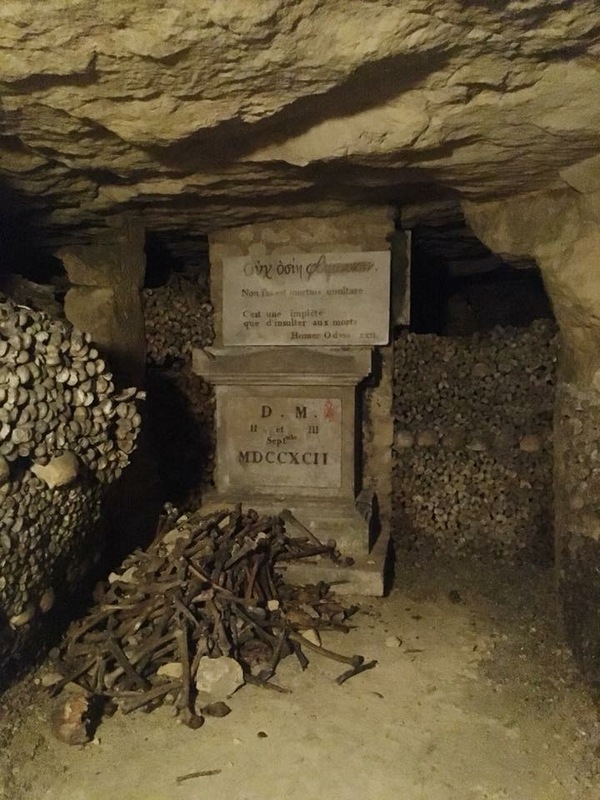 This place is absolutely fascinating, even if a bit eerie (one of my favourite films of all time, ‘As above, so below’ is set in the catacombs of Paris). 5. Versailles. Another place you’re going to need the walking boots for! Before the French revolution in 1799, Versailles was home to many generations of the French royal family, including Marie Antoinette. This grandeur of this place is mind-blowing, and it’s easy to see why the French people didn’t like such a gross display of the royal family’s vast wealth (it’s estimated to be worth over £40 billion in today’s money). 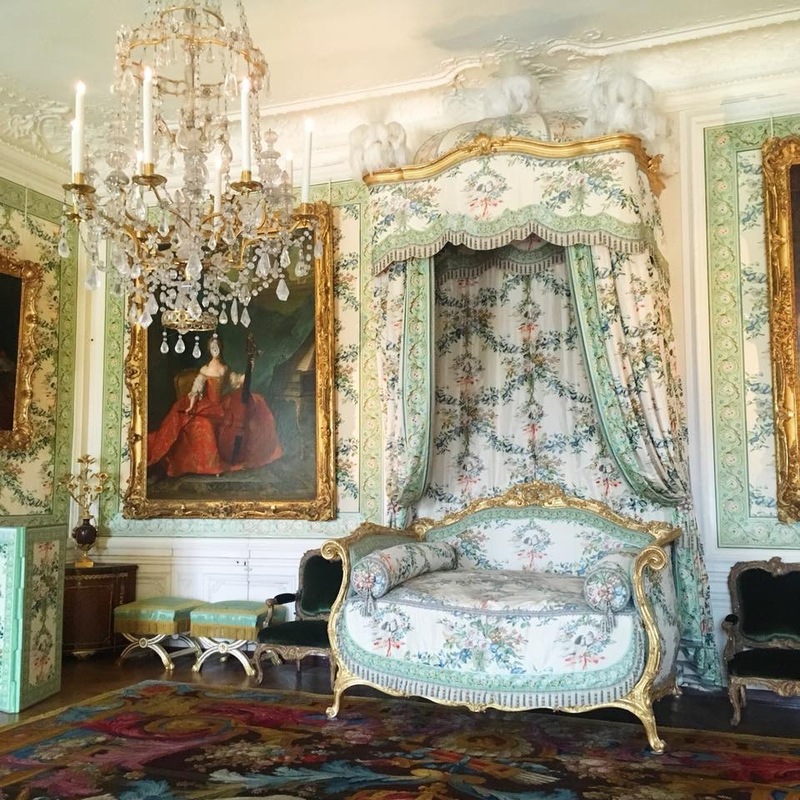 We were surprised at how little of the palace itself you’re allowed in, and a lot of that was actually being renovated as well, but there is so much more to Versailles than the palace itself. There is also 2 ‘mini-palaces’, which I actually found nicer to look around than the main building (it was much quieter and they were just as grand), vast gardens full of sculptures and fountains, and ‘the Queen’s Hamlet’, a restoration of the small agricultural village that sat on the Palace grounds. I had no idea about this, but if you’re 16-25 and hold an EU passport, you can get into a HUGE amount of places for free! In fact, the only place I paid for was the catacombs, and even that was at a discounted rate. Versailles, the Louvre and any churches that charged normally were all free which I think is absolutely incredible, so if you can get there before Brexit it’s definitely worth doing! Beware of pick pocketers. I can’t stress this enough – on our first day I was targeted by pick pocketers and if my Mam hadn’t noticed, I would probably have been left lacking a lot of money, a phone and a passport. Outside the Louvre, there was a group of women holding clipboards. One of them approached me and asked me to sign a petition to help children, and once she had my attention the rest surrounded me, held my arms as if they were begging me to sign it (but really keeping my hands away from my bumbag), and just totally overwhelmed me. They had their clipboards above my waist so I couldn’t see that one of the women was trying to unzip my bumbag, at which point my hero Mother jumped in and told them to get out of my bag. The next day at the Basilica, I saw another group of women with the exact same clipboards; even the petition was exactly the same. They also tried to approach me but I knew by then to simply put my head down, say no and keep moving – unfortunately being rude is the only way. On our way back to the station to come home, another pick pocketer targeted my Mam on the metro and managed to open her bag without her realising (luckily, she had all her valuables in her bum bag so there was nothing for him to take). So that’s 2 very near misses in 4 days, and we weren’t naïve. We had valuables in bum bags which we kept a good eye on and still nearly got tricked. Paris is an amazing place and don’t let it put you off going, just be very aware of your belongings!